Blogging has taken a backseat recently with all the Christmas stress festivities, but I'm back now with a clear Google reader and ready for 2012! 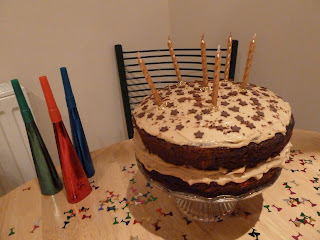 I've really enjoyed 2011 baking and blog-wise, I have been on a couple of brilliant baking courses, tried lots of new recipes and discovered lots of yummy and lovely blogs and bloggers. Hope you all have a fab New Year's Eve whatever you're up to, and wishing you all lots of love, luck and happiness for 2012!